CAN A LOWER COST OF DRUG DISCOVERY IMPACT THE PATHWAY TO NEW DRUGS? CARLSBAD, CALIFORNIA—October 10, 2015. For the past 50 years, high-throughput screening for drug discovery has remained virtually unchanged. Robotic liquid handling systems test large libraries of compounds for reactivity with new drug candidates using an industry-standard disposable plate containing 96 individual liquid wells. Costs for a typical test run of one million compounds can be as much as $10 million USD. The high cost of screening can adversely impact testing by smaller Pharma companies, or the testing of rare compounds with small available volumes such as those derived from natural plant sources. Neofluidics, an innovative California-based start-up in the growing field of microfluidics, is hoping to reinvent the process with their NeoPlate™ system that drastically reduces the costs of primary drug screening. 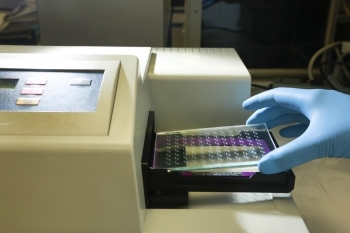 Using lab-on-a-chip technology integrated into a consumable well plate, the small nanoliter volumes used effect an almost 99% reduction in primary screening costs, while at the same time reducing filling errors and simplifying workflows by allowing single step dilution. The technology has been designed to work with most existing robotic liquid handling systems making its adoption by industry a seamless process. 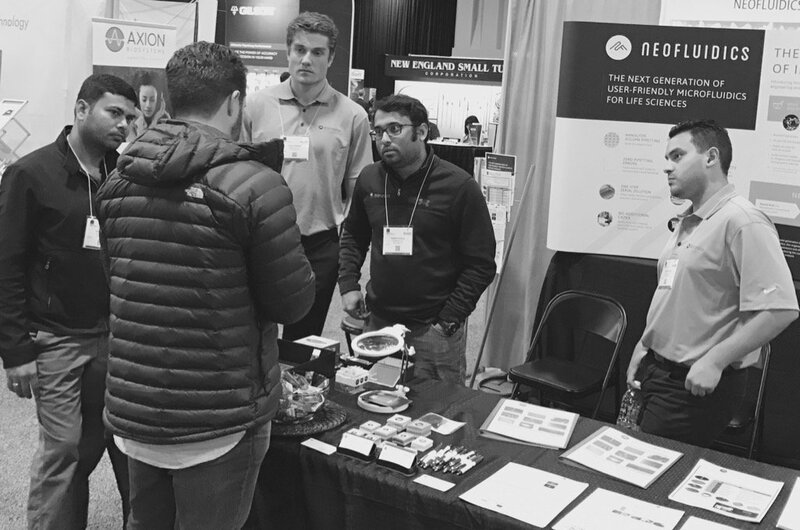 “In the same way that Google transformed the Internet space by establishing a platform technology, we think our NeoPlate™ system will transform many areas of drug research and discovery as a true platform technology,” said Deepak Solomon, Chief Product Engineer for Neofluidics. The company has adapted the technology for other applications such as single-cell analysis which features a microfluidic network of trapping chambers designed to capture single cells from a larger, initial cell population which is useful in cancer, immunologic, and genetic research. Another version of the technology uses microscopic volumes for tissue organ modeling to test drug toxicity. Neofluidics is headquartered in Carlsbad, California. Started in 2014, it holds two patents for lab-on-a-chip technology and has five product lines, including applications in the petroleum and military market segments. Since the launch of its NeoPlate™ well plate in September, the company has fulfilled orders for numerous clients throughout North America and abroad. Neofluidics, an innovative California-based start-up in the growing field of microfluidics, is hoping to reinvent the process with their NeoPlate™ system that drastically reduces the costs of primary drug screening.